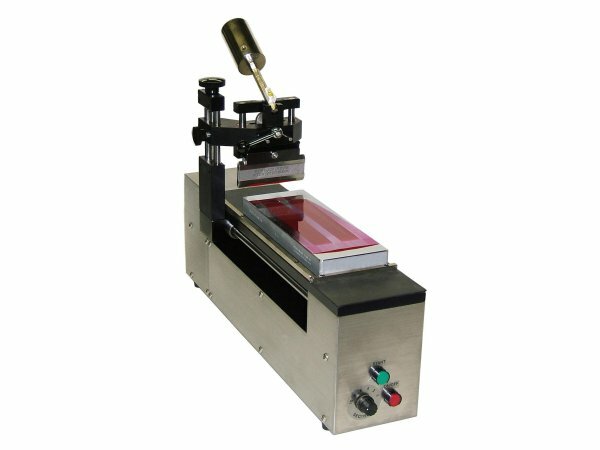 Now get more consistent use of grind gages using the ADM automatic draw down machine from Little Joe Industries. The ADM comes in two models, the single-speed ADM-1, and the multi-speed ADM-2. 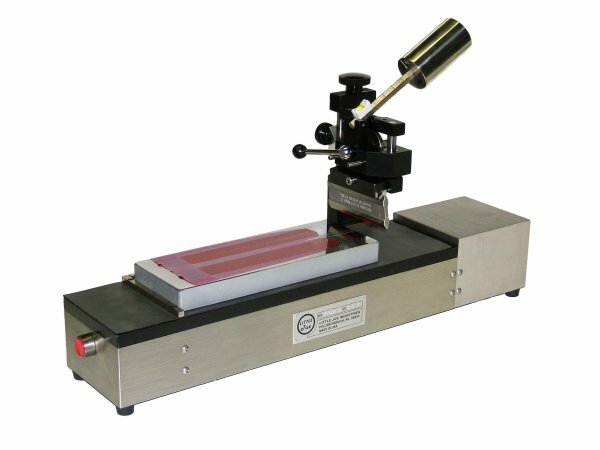 The ADM-1 takes ten seconds to move the scraper the length of the grind gage for use with paste coatings only. The scraper is held at an 85-degree angle. This allows using each side of the scraper twice, giving in effect a scraper with four edges instead of just two which doubles the life of each scraper compared to a 90-degree angle. However, 90-degree versions are available by special order. The ADM also makes color comparison draw downs on draw down pads using a scraper. This requires the purchase of a Draw Down Kit. The Draw Down Kit consists of a clip board to hold your draw down pads, a scraper adapter, and one scraper. We designed the ADM to be durable, which protects your investment, and simple which keeps the price reasonable. US and foreign patents apply.